It would take too long to cite all of Doug’s credits, but here’s a small sampling: He has his own documentary called Super High Me based on a joke from his standup act. It’s available on DVD! How does a little show called NBC’s Last Comic Standing grab you? Fact: he finished top six in the 2007 season, no big deal. Doug was a series regular on four seasons of VH-1’s Best Week Ever. He makes recurring appearances on ABC’s Jimmy Kimmel Live. His second Comedy Central Presents half-hour special premiered in January ’09. He had the nerve to hit on Jennifer Aniston on the classic sitcom Friends, is a character on The Sarah Silverman Program, and oops, almost forgot, got Larry David in a headlock on HBO’s Curb Your Enthusiasm. If that’s not enough for you, he’s a creator/writer/star of The Marijuana-Logues, a show that’s been a hit (small pun intended) in clubs and theatres from Los Angeles to New York – and drew a bongload of rave reviews. Now there’s a CD, also called The Marijuana-Logues, and a book, The Marijuana-Logues: Everything About Pot That We Could Remember. In 2006, High Times Magazine named him Stoner of the Year, and in 2009, he successfully made it to all the shows in his thirteen-day Medical Marijuana Tour. Now Doug has four CD’s out on Comedy Central Records: Unbalanced Load, Hypocritical Oaf, Potty Mouth and the soon-to-be-released Smug Life. He continues to express his love of movies on his Doug Loves Movies podcasts (available on iTunes). And Doug’s long-running live show, The Benson Interruption, was recently a series broadcast on Comedy Central. 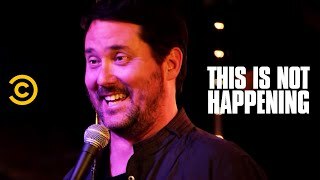 Enough about Doug Benson already!